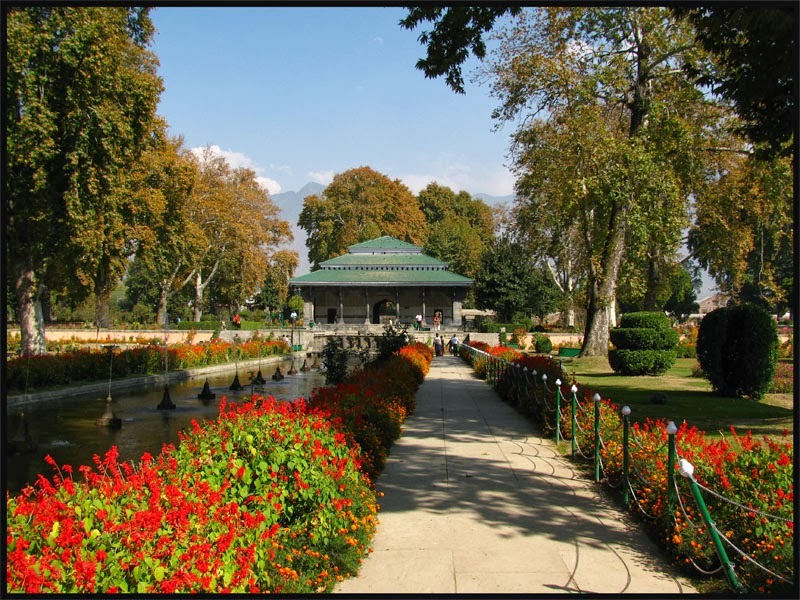 Shalimar Bagh, is a Mughal garden linked through a channel to the northeast of Dal Lake, on its right bank located near Srinagar city in the Jammu and Kashmir. Its other names are Shalamar Garden, Shalamar Bagh, Farah Baksh and Faiz Baksh, and the other famous shore line garden in the vicinity is Nishat Bagh. The Bagh was built by Mughal Emperor Jahangir for his wife Nur Jahan, in 1619. The Bagh is considered the high point of Mughal horticulture. It is now a public park.Shalimar Garden is a wonderful combination of gardens and lakes. It has four terraces, rising above each other as steps and has a canal, built with polished stones, that is supplied water from the Harwan.